Talentbridge Delivers ... A Way to Optimize Your Network. Technology is constantly changing. But one thing that stays the same is our approach to finding quality candidates and companies the right IT opportunities. The Information Technology profession is among the fastest growing segments of employment in the U.S. At TalentBridge, our sourcing strategies include placements for local, remote, commuter and relocation talent. Equipped with a robust network of vetted talent, an intense sourcing and screening process, and the ability to find highly sought-after resources, we begin by expanding beyond the typical search. Our proven process ensures success with every placement. 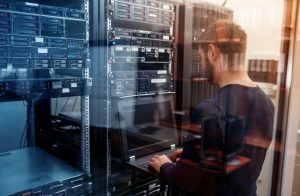 We also recruit IT team members with the most in-demand IT certifications, including: CompTIA A+, CompTIA Network+, CCNA, MCSE, CISA, CISA, CISSP, CISM, CRISC.